The CWG Plc has concluded plans to unveil its smart meter and anti-power theft solutions for commercialization, reports ITREALMS. The Group Managing Director and Chief Executive Officer, CWG Plc, Mr. James Agada gave this insight on Thursday at a seminar organized by the company in Lagos, in collaboration with the Nigerian Information Technology Reporters Association (NITRA). 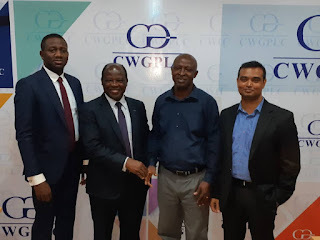 He told ITREALMS it took CWG plc some three years to conceptualize, design, produce and develop the software to drive its smart metering and anti-theft solutions, which will be a win-win solution for both electricity consumers and distribution companies respectively. A unique point of the CWG Smart Utility Solutions (SUS), Agada said, is that the meters will be coming to the consumer with a Wireless Fidelity (WiFi) embedded, thereby offering the electricity consumers additional value added service (VAS). Just as he said the company also developed anti-power solution to combat power theft in the Nigerian Electricity Supply Industry (NESI) if not eliminate the scourge of theft in the electricity distribution in the country. Explaining further on these solutions, the Vice President, Corporate Development at CWG Plc, Mr. Daniel Shobhan Das, told ITREALMS as at 14th August 2017, the federal government made way for the sale of meters to the customers directly, which acted as stimulus to CWG in its drive to make life meaningful for Nigerians. According to the VP, CWG SUS, comes with high speed fouth-generation (4G) LongTerm Evolution (LTE) Modem plus a Wi-Fi router inbuilt into the Customer Interface Unit (CIU) for wireless Internet Access, remote OFF/ON of electric supply line, mobile and web-based token recharge with manual option as a fail-safe measure in addition to the web based dashboard view and control of the energy consumption. He pointed out that CWG-SUS, consumers could monitor dual energy sources, thereby saving cost on expensive cabling from dual sources. “Single cable input to measure both sources,” he declared, stressing that mobile based energy management and control has mobile-based consumption and billing information from both the public electricity power supply and generating set. 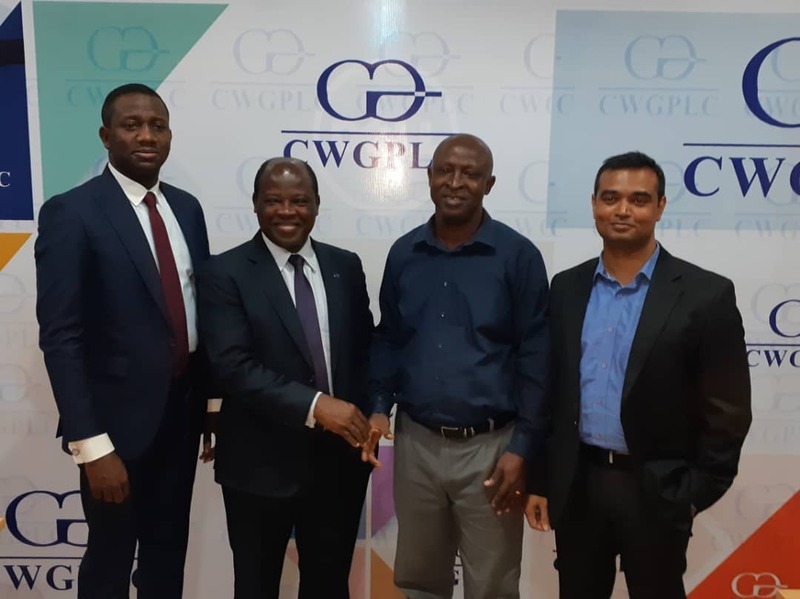 Pix1: R-L Vice president, Corporate Development, Mr. Daniel Shobhan Das, NITRA chairman, Emma Okonji, MD/CEO CWG, Mr. James Agada, and Adewale Adeyipo – VP, Sales and Marketing. 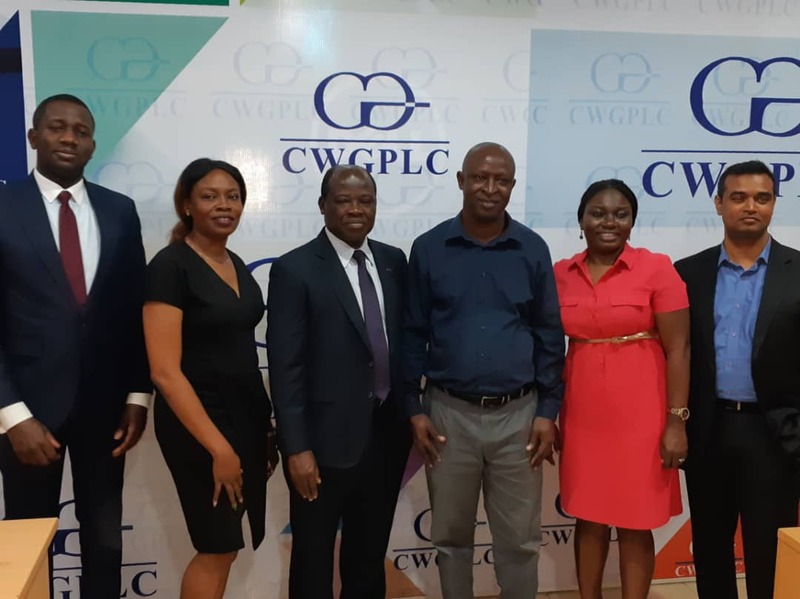 Pix 2: Pix: R-L Vice president, Corporate Development, Mr. Daniel Shobhan Das, Group Head, Human Resources, Tinu Adeyemi, NITRA chairman, Emma Okonji, MD/CEO CWG, Mr. James Agada, Group Head, Brand & Marketing Communications, Anthonia Ehanmo and Adewale Adeyipo – VP, Sales and Marketing.